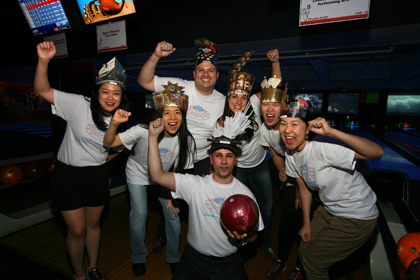 Up Our Alley, Classical Action’s annual bowling bonanza benefit, first got rolling in 1999 at Bowlmor Lanes Union Square in New York City. 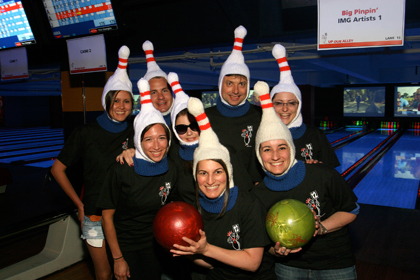 Every year since, we have asked our friends and colleagues from all corners of the performing arts industry and beyond to form bowling teams. 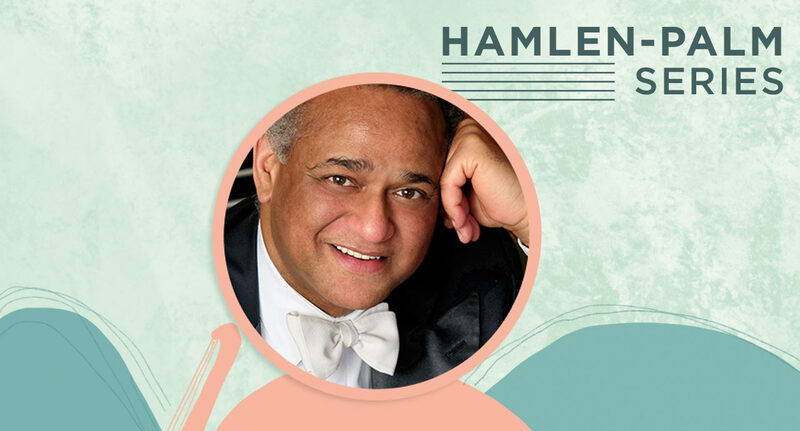 Similar to a walk-a-thon, each team seeks sponsorship in the form of tax-deductible contributions to Classical Action. This grassroots event not only raises significant money for a good cause, but it also affords the participants the opportunity to get together with their colleagues and co-workers for a relaxed, fun-filled evening. Up Our Alley 1, held on July 13, 1999, raised $50,000 and has since raised more than $1.2 million for Classical Action.